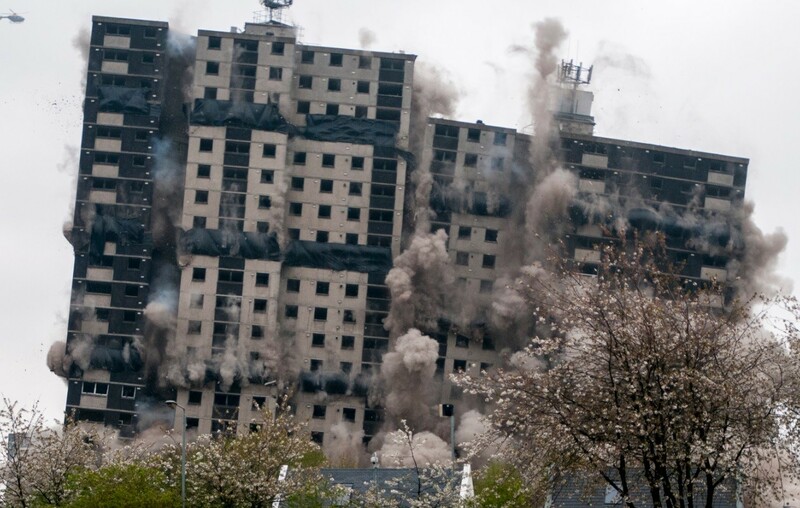 Dem Master has felled the final tower block in a quartet of towers which once stood at Norfolk Court in Glasgow’s Gorbals, clearing the way for the construction of 201 homes by New Gorbals Housing Association. 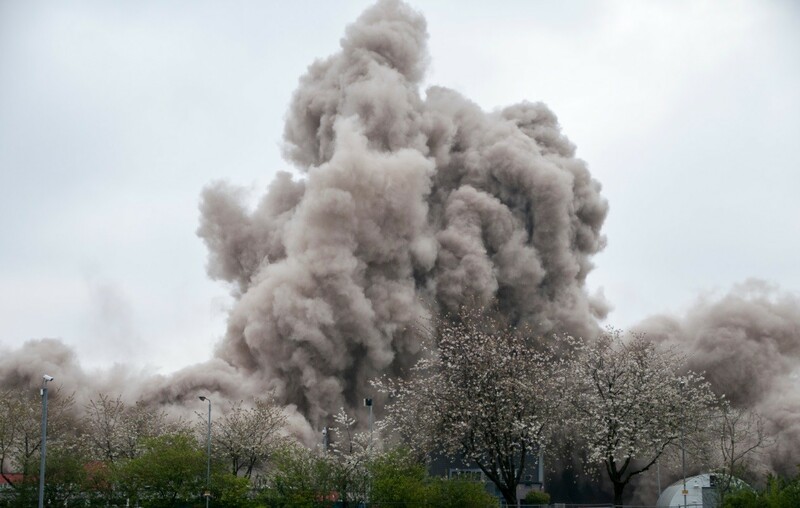 The Sunday morning blowdown of the 24 storey building saw the 1970’s landmark, which once contained 276 flats, reduced to rubble within seconds allowing a £24m regeneration project to proceed. 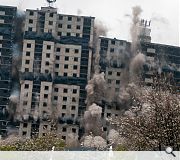 Then wider Laurieston district has been designated as a Transformational Regeneration Area by Glasgow City Council. 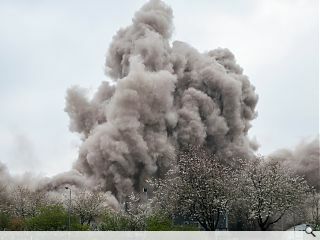 Excellent news. 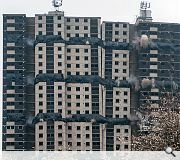 Thank goodness that this area of Glasgow can finally move forward from the concrete hell they were subject to all those years ago. 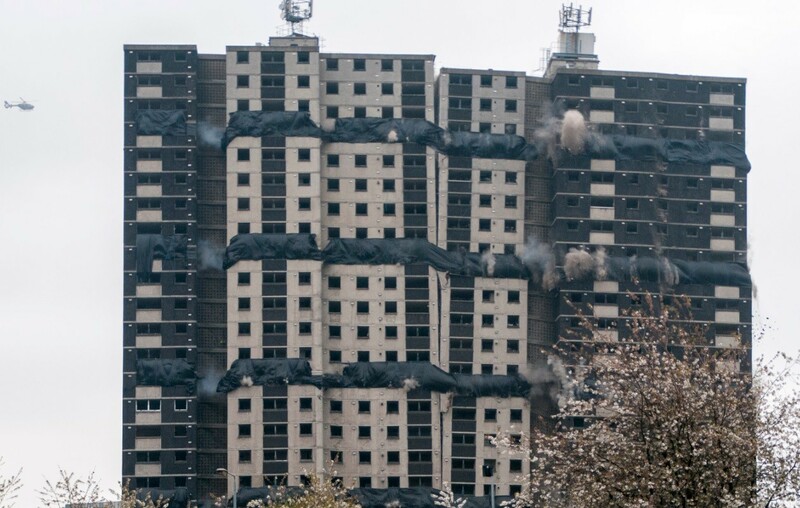 Well done to everyone involved in this and the future of the Gorbals.